sainthood is proceeding at this time. Originally known as the Discalced Carmelite Tertiaries of the Hospital of Atotonilco, Jalisco, Mexico, her community in Mexico is the Institute of the Carmelite Sisters of the Sacred Heart of Mexico and her community in the United States is the Institute of Carmelite Sisters of the Most Sacred Heart of Los Angeles. prominent doctor, Pascual Rojas, M.D. Together they worked tirelessly to provide medical care for the extremely poor people who had none at all. With other members of their local parish church, St. Michael the Archangel, they began a small hospital for the poor known as the little Hospital of the Sacred Heart. When Luisita was twenty-nine years old, her husband died. However, she was not alone for the hand of God rested gently upon her. People still remember her as “the widow with the basket who searched throughout the countryside, sometimes walking and at other times on a donkey, to go in search of the sick. It seemed that she knew where to find them. After greeting them lovingly and giving them some Christian exhortation, she would offer them whatever she carried with her: food, some natural medicine or an unsheared sheepskin to be used as a mattress. After this, she would perform the most humble services for them” (from the Positio Super Virtutibus). She then entered the cloistered Carmelite monastery in Guadalajara, immersing herself in Carmelite Spirituality, drinking from the wellsprings of St. Teresa of Avila and St. John of the Cross, and spending many hours daily before the Blessed Sacrament. One day, the bishop arrived at the Monastery and asked her to return and restore order to the hospital which needed her administrative ability. After much discernment, she returned to the little hospital in Atotonilco and brought the spirituality of Carmel back with her. The hospital rallied as a result of her administrative gifts. In 1904, the first group of women joined her. 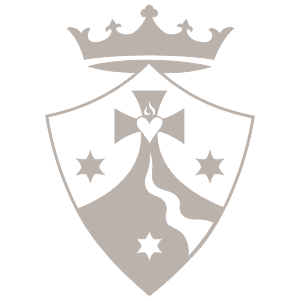 The Bishop later gave them permission to join an existing order as a “Third Order” congregation. 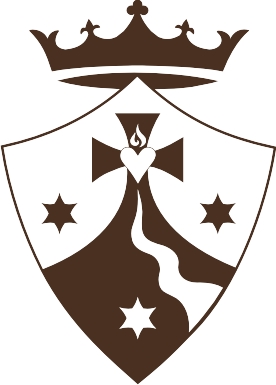 On February 2, 1921, they received the Carmelite Habit and began to live the Carmelite rule. When the religious persecution began in Mexico, there were already fifty-five Sisters. Only in the past few years have the horrors of the religious persecution of Mexico during the early 1900’s come to light. This persecution reached its height in 1926. Atrocities unable to be mentioned occurred. Los Cristeros, a name given to the local Catholics who attempted to defend their faith, family and country, shouting “Viva, Cristo Rey!” battled to bring justice back to their native land. Thousands were martyred. Ordered to disband in 1926, the fledgling community hid in private homes, carrying on their loving services quietly and secretly. Mother Luisita’s correspondence had to be written in a code which she devised to protect all concerned. 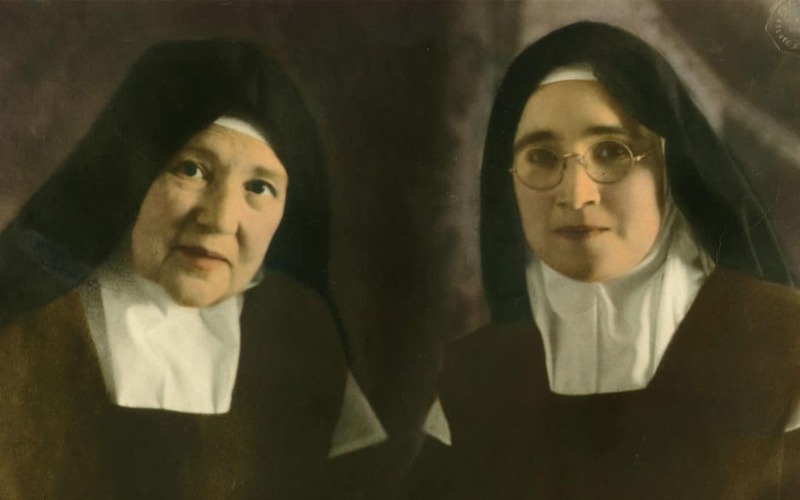 In 1927, the situation was so bad that she and two other Sisters, Mother Margarita Maria and Sister Teresa Navarro, fled Mexico as religious refugees. Welcomed by Archbishop John Cantwell of Los Angeles, they planted new roots in new soil. About the same time the Archbishop of Guadalajara went into hiding. The local people, shouting “Viva, Cristo Rey!” gave their lives for the cause of religious freedom. Catholic Churches in Mexico were closed. Tabernacles were empty. The sisters in Mexico remained in hiding. Mother Luisita was a light during those dark days, traveling between Mexico and the United States. She began schools, orphanages, hospitals, and clinics. She found ways to teach the children, support the parents, and bring the good news of the Gospel to God’s people. Wherever she went, she explained doctrine and helped people in their prayer life. People still remember her recollection during prayer and her long hours before the Blessed Sacrament. Mother Luisita died as the morning Angelus bells rang, on February 11, 1937. Despite the persecution, many people, including bishops and priests, discreetly made their way to that small home where she was residing at the time. Masses continued to be celebrated throughout the day and into the night. When the time for the final farewell came, the Sisters went up to the coffin, and one by one kissed Mother Luisita on her forehead. After the coffin was closed, all set out for the cemetery of Mezquitan where the Castaneda de la Peña family had a property. Mother Luisita was buried. His Excellency Don José Garibi Rivera blessed Mother’s grave and said the ritual prayers for the dead. This article, and many others like it, are found in the Carmelite Sisters biannual magazine Spirit of Carmel. If you would like to sign up, click here!